Every year we hear the same old things: look out for sale season, direct sunlight is bad for your skin, beware from quick summer diets and so on. Every year people keep telling the same basic things: drink at least 2lt of water a day, eat healthy, have a regular physical activity, sleep well and don’t worry. How is it that we still haven’t got it? These are simple “rules”, and they are worthy for ANY thing you wish to do: become a world famous tennis player or hotdog eater, or simply feel good with your own self. This long intro to tell you what I’ve learned from my thesis (I promise, cross my heart, this is the last time I bother you with this… or at least I hope so! 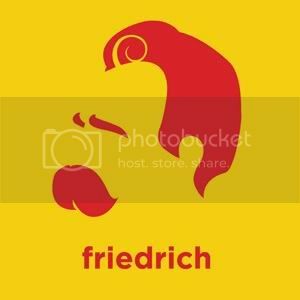 ), the hairy guy depicted up there is our dear old Wilhelm Nietzsche (Friedrich was already written) . Among many things I wrote, and most of all among many things he wrote there is one I need today. Actually he doesn’t say things very different from the ones I quoted before: he tells us to take walks, eat well, live in a place with a nice weather and listen to music. This stands on the fact that for our Frederick William the usual separation between mind and body, intellect (noble) and world (less noble), thought and matter, has no reason to be. World and nature are ruled by chaos, the very life of man is an exception in this chaos and the only thing we can do (unless you want to dig despair and then ignore it all) is acknowledge all of this and then give ourselves an order, to be able to forge our “becoming” (it’s awful I know, but it means future, un-written destiny filled with chance, and development). Or Faber est suae quisque fortunae, ok I’ll stop pontificating and lecturing you: you create your future. Now you’ll say ok, but what about stopping the philosophical talk and tell us what the hairy guy has to do with reinventing the wheel? For our daily topic what I realized thanks to my thesis is that it is quite good to bring your body back to what matters (eheh… gosh! :). If you’re fit (it doesn’t mean you have to look like a super model, it means you are healthy) drinking plenty of water, eating well and being active, you rest better, your body is tonic, you breathe better which means you are not so nervous and therefore you’re more likely to be happy. And this is simply your body influencing your mind. And I think it’s quite obvious: the mind influences your body too: when you’re feeling a strong emotion it immediately hits your throat and your voice sounds different. This is (poorly said) a reaction of your reptilian brain: the conscious mind says “danger!” and your instincts react by changing the beat of your breathing and your pulse, your blood flows in your legs so they’re ready to run, and your throat gets ready to scream for warning. The good news is that if you consciously tell your lungs to breath deep and you repeat yourself you’re NOT in danger you’ll eventually learn to control your impulsive reactions… ok, this is not so automatic, but this makes clear why it is so important to train and prep yourself to keep yourself in control. I still have to learn, but this is why I started this series of posts: to clear my mind (and in the meanwhile maybe help someone else) and to be more organized, prepared and calm. Well, I didn’t learn this directly from Nietzsche, but let’s say he gave me the imput bofreconsidering the importance of the body. Your body is not a prison, it’s not something shameful, it’s an important tool that may help us understand ourselves better, and understand better what’s going on in our minds. It may sound strange, but I really think it can work! Don't worry is the hard part. And 2 liters of water–that's a lot. Anyway, great post. What you say about bodies is so true. 2lt are ment to be during the whole day and also through food (fruits and vegetables most of all, and also fruit juices), but it really does make the difference!